Offer select songbirds a delicious dining experience with this Deluxe Finch Blend. Finches, chickadees, goldfinches, and other birds enjoy finer seed such as thistle and millet for their dining. This balanced seed mixture blends thistle with canola, millet, and other seeds for a healthy product. 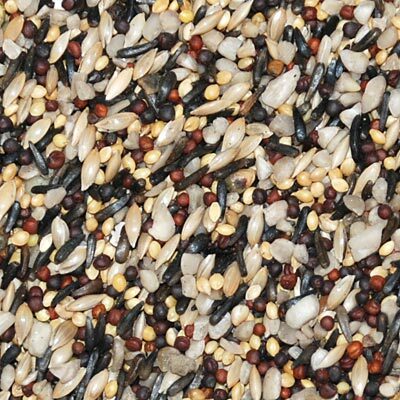 Place this mix in your thistle feeders for feeding specific birds. Watch finches flock to your garden to dine on this Deluxe Finch Blend. Note: This Wild Bird Seed Mix, Deluxe Finch Blend, is packaged in a 5 pound bag.